I experienced a variety of weather and lighting conditions during this test, so for each image I used the auto white balance (AWB) and then took a custom reading to compare the results. Taking a custom reading in-camera is a very simple and speedy process. 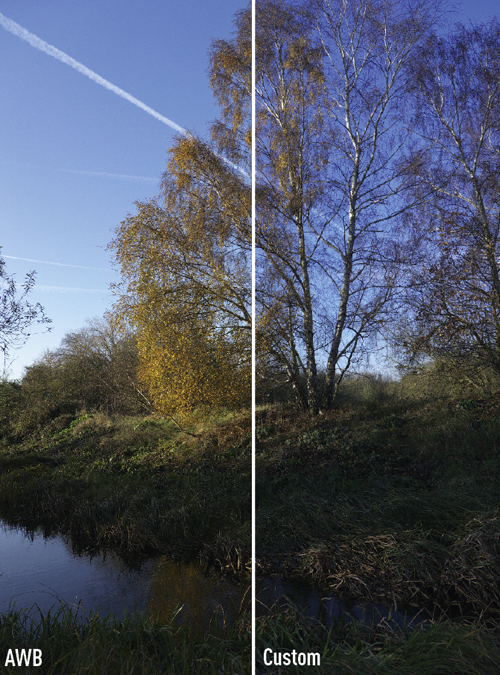 Images taken using AWB seem fine when viewed alone, but when compared to the custom white balance the colour temperature in overcast conditions is usually a little cool. The same can be said for tungsten light, where the warmer light is mistaken for a colour cast so the camera compensates with a cool temperature. However, most systems perform in this way, and in the majority of situations it is good enough to leave the camera on AWB and shoot away. Panasonic also offers a variety of colour options via the photo style menu. Each can be customised for contrast, sharpness, saturation and noise reduction, and includes monochrome, vivid and natural. I kept mostly to the standard setting because it offers a good balance of colours. As with other systems, the higher the ISO sensitivity used, the more the colour saturation is compromised. I tended to use the vivid photo style when at ISO 1600 and above to compensate a little for the loss of colour.